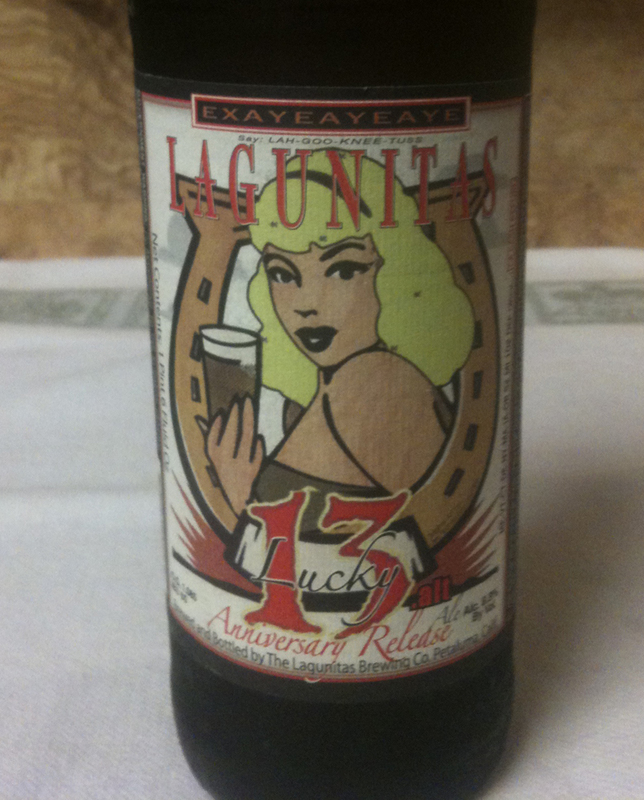 Time for a "bomber" for the holiday: Lucky 13.alt from Lagunitas Brewing Company. 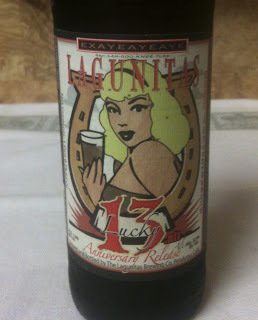 8.8% ABV and 60 IBUs are shown on the 1 pint, 6 ounce bottle. This is a limited version of one of their seasonals. This beer poured with a medium to thicker, creamy colored head. Beer color is a very golden amber. Very clear. 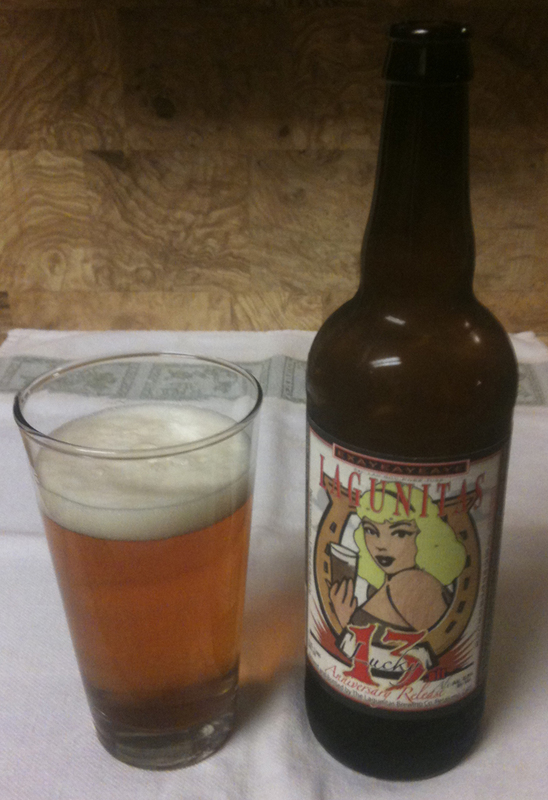 The aroma is fairly mild; citrus, some sweetness, a little pine, a floral note. There is a smoothness and higher alcohol quality, much like an Imperial IPA. Citrus, pine, caramel sweetness. A smooth, consistent bitterness in the background. Nice carbonation/mouth feel; not quite fizzy. Medium bodied. Very mild bitter aftertaste. Very nice; I enjoyed that it seemed like a slightly milder Imperial IPA.